Do Bible Stories fall into the category of "Myth"? Myths deny boundaries between the gods, humans, & the earth. Myths pair a nature symbol with a deity. Myths celebrate graven images of the deities for purposes of tangibility and manipulation. Myths carry an obsession with fertility (sexual activity manipulating the gods to send rain). Myths contain all kinds of magical practices (another attempt to manipulate and control the divine realm). Myths postulate that matter is what is eternal, predating the gods. Myths have a low and unreliable view of the gods. Myths have a low view of humanity as well. Myths present a cyclical view of existence. The Bible's worldview presents differing and often opposite views on each of these 10 components. We never completely endorse all the thoughts of any human teacher. Make sure you put all resources through the Berean Test (Acts 17:11). In this excellent resource, John N. Oswalt establishes the distinctions between the mythical and biblical worldviews. If you are interested in seeing more of the details of the 10 distinctions between Continuity and Transcendence summarized in the podcast, you may want to get a copy of this book. 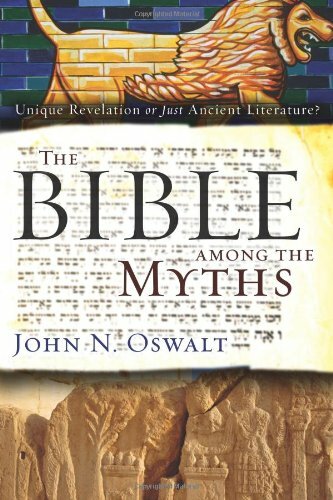 Oswalt also spends a couple of chapters talking about the nature of biblical history, focusing on how the historical narratives of the Bible also look very different than other literature from the ancient world.